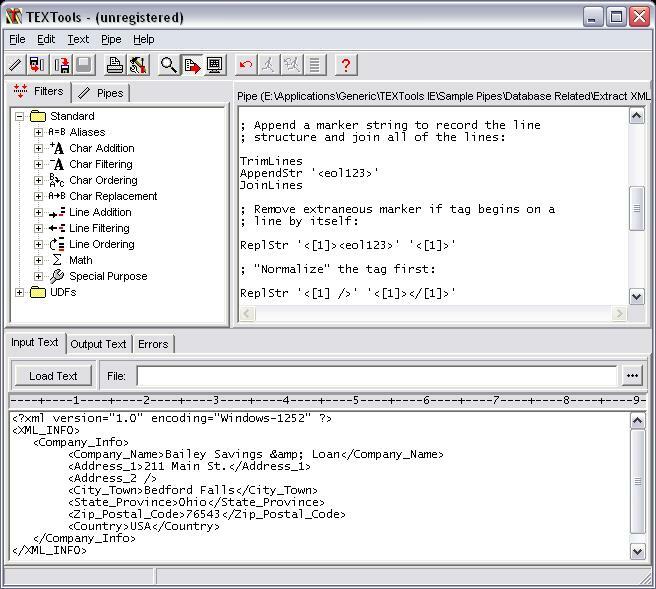 While the other guys are still declaring variables, get the job done with TEXTools -- the powerful, pipe-based text processing workbench for Windows that allows you to morph text into other forms by simply combining filters. Do things to text like you've never done before with a minimal number of lines of code. Easier to develop, maintain and debug than traditional code, pipes are the ultimate solution to those everyday text editing problems. create programs for transferring files to, from, or between remote systems. Qweas is providing links to TEXTools 2.2 as a courtesy, and makes no representations regarding TEXTools or any other applications or any information related thereto. Any questions, complaints or claims regarding this application TEXTools 2.2 must be directed to the appropriate software vendor. You may click the publisher link of TEXTools on the top of this page to get more details about the vendor.